Agritech are committed to the Vitalac range of Milk Replacers developed by Nukamel. This range of whey and skim based calf milk replacers (CMR) is recommended for the stable and efficient rearing of calves. The acidified milk replacers offer a well-balanced level of highly digestible fat and protein, provided via carefully selected, high quality raw materials. The milk replacers are highly soluble and suitable for both bucket and/or automatic feeding systems. Help exploit full genetic potential. Maximize growth rates without fattening. Facilitates early first calving (24 months). Nukamel’s Emulsizym® technology has been developed as an answer to the restrictions of the use of antimicrobial growth promoters (AGP). Emulsizym® replaces AGP in a natural way. It means that Nukamel’s calf milk replacers are fully optimized with respect to health and digestion. The right choice and combination of raw materials are essential to its success. The antibacterial properties of short- and medium-chain fatty acids. Bioactive peptides derived from fermentation, which are antibacterial, inhibiting the multiplication of bacteria and stimulate the immune system. Our nutritional emulsifier provides increased solubility and digestibility of fats. 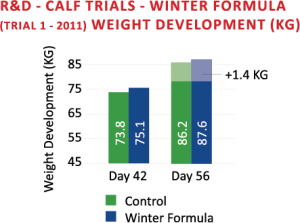 Seasonally distinct calf milk replacers maximize growth rates the whole year round. Agritech milk replacers are supplemented with Emulsizym® 4 seasons. This concept adapts nutritional content to the seasonal differences occurring during the year. 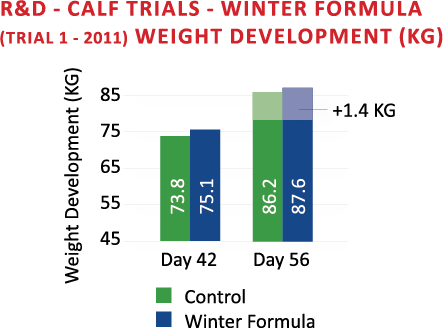 Agritech use Nukamel’s Winter formula which benefits Autumn and Spring calving in Ireland, with an emphasis on Health & Safety. Is supplemented with digestive oils rich in omega-3 fatty acids. Restore the microbial flora after antibiotics. The use of spray cooling technology in the production of Vitalac Milk Replacers has a direct influence on the performance of the subsequent products. In recent trials versus typical spray drying techniques, a significantly higher end weight, average daily gain and concentrate feed intake were obtained over a period of 56 days. 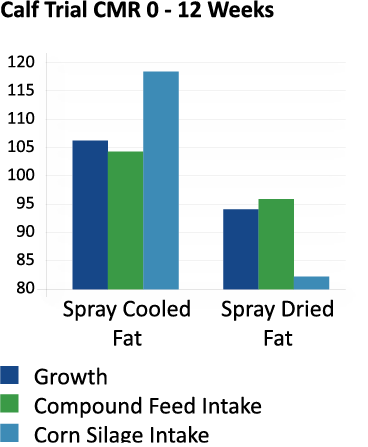 CMR produced with spray cooling technology also resulted in a higher gain to feed ratio. 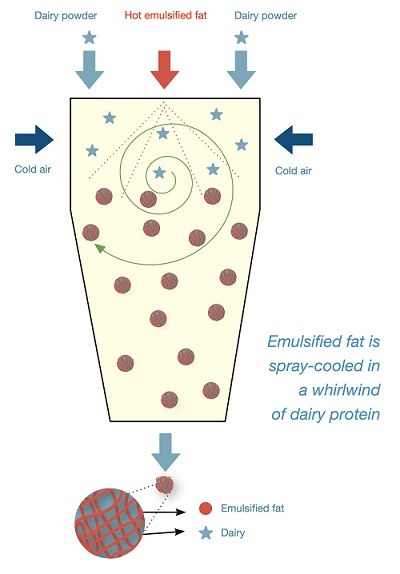 Due to the simultaneous availability of energy (emulsified fat) and protein the CMR based on the spray cooling technique has resulted in improved digestibility and thus is of higher nutritional value. 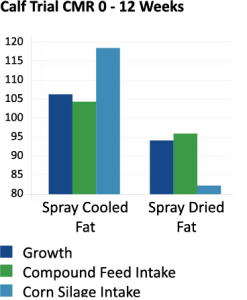 Through a faster availability and uptake of the fats and oils, the period of saturation is shortened. Therefore, the intake of concentrate feed is higher and starts earlier in rearing. This results in a positive effect on rumen development. Improved dispersion / solubility of the milk powder in water. Improved intake of concentrate and roughage. Improved solubility and digestibility of fat. Anti-caking ˃ free flowing properties. Maze structure ˃ simultaneous availability of fat and protein.